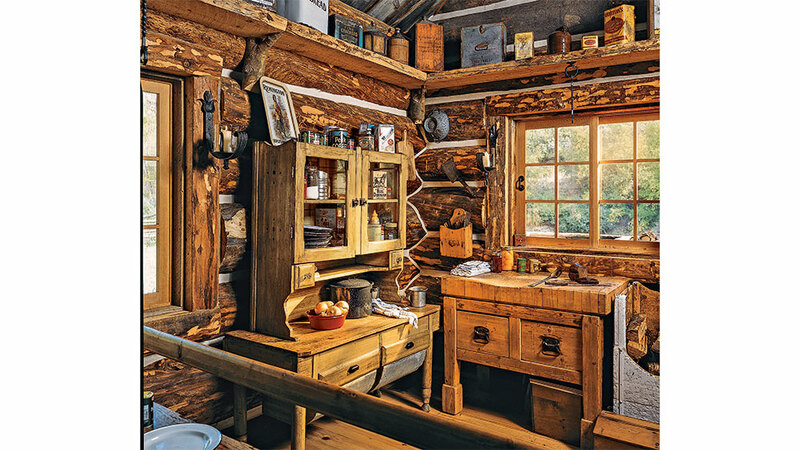 Originally featured in 2005, this 600-square-foot trapper’s cabin, may lack traditional amenities, but this tiny Colorado treasure is so charming it quickly became one of our staff’s all-time favorites. 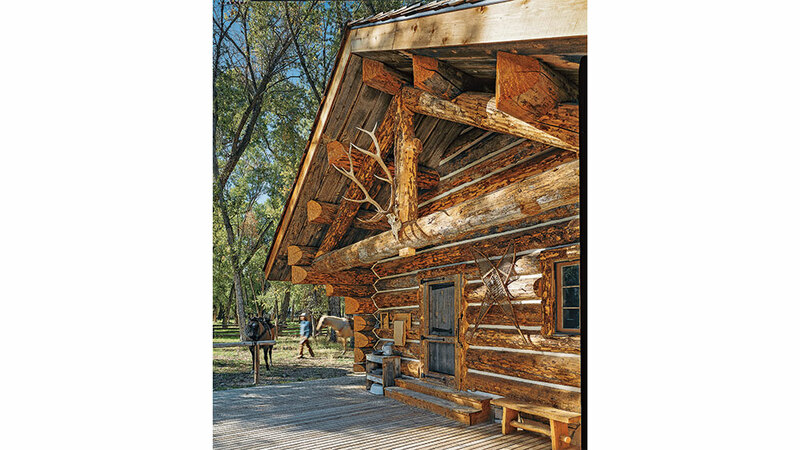 The Centennial Ranch Cabin is built with exceptional large-diameter logs, given its diminutive size. The 18-to-20-inch standing-dead spruce was harvested right from the land on which the cabin sits. Owner Vince Kontney carefully re-created the look and feel of a historic Western homestead. 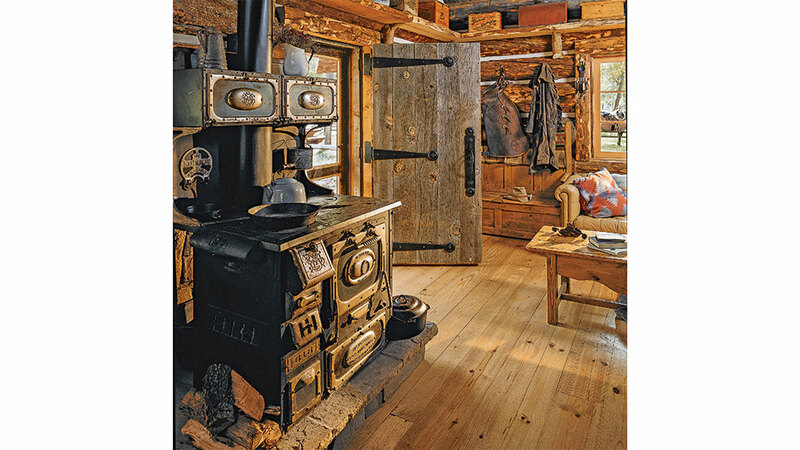 One of the Centennial Ranch cabin’s most unique characteristics is the hand-forged wrought-iron hardware found throughout. 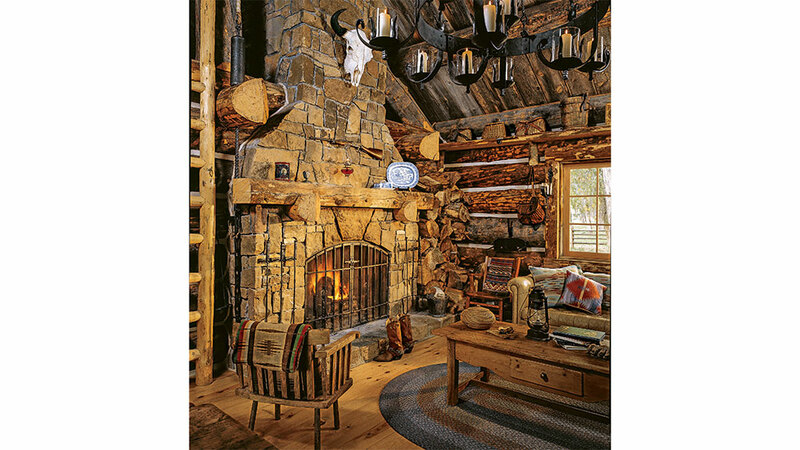 All of the hinges and latches and a number of larger specialty pieces, like the candle-powered chandelier and fireplace screen, were crafted just for this historically accurate cabin. 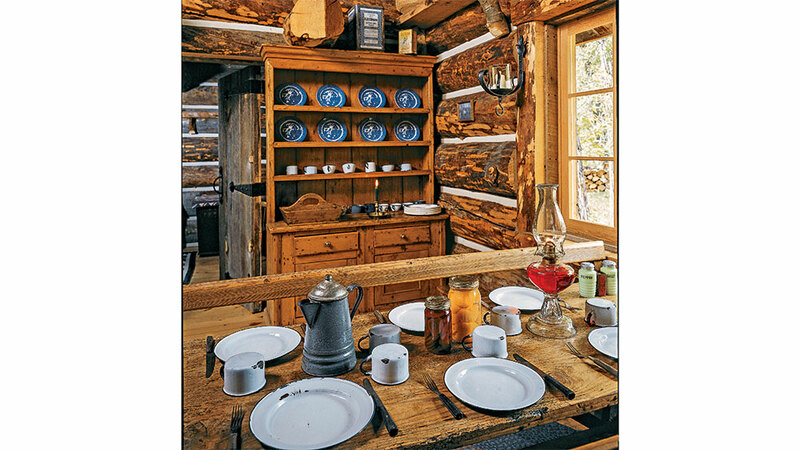 The wood-fired, cast-iron stove was in home owner Vince Kontney’s possession for more than 40 years before it found a home at the Centennial Ranch cabin. The wide-plank hand-scraped hardwood floors were left unstained, which brightens the rustic room from the ground up. 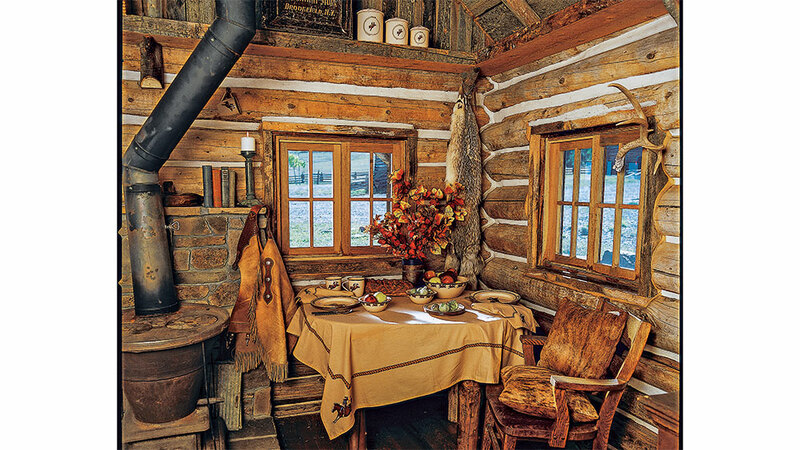 A cozy table for two is neatly nestled into a quiet corner of this 600-square-foot cabin. 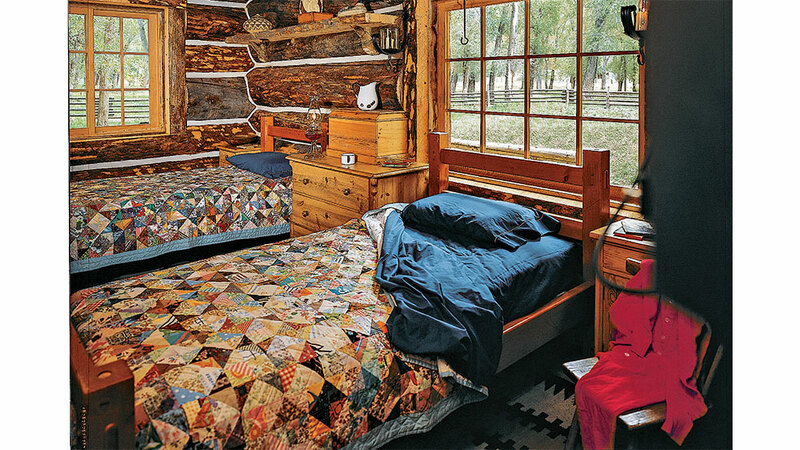 In addition to a sleeping loft, this modest bedroom, tucked in the rear of the cabin, offers enough space for a ranch-hand to rest after a day of rounding up cattle. Twin quilts give a jolt of color to the neutral tones of this small space. When it comes to serving up a hearty lunch, chipped enamel­ware is the order of the day. The blue willowware in the open-faced cabinet is saved for special occasions. Since the cabin has no electricity, candlesticks, sconces and oil lamps can be seen throughout the rooms. 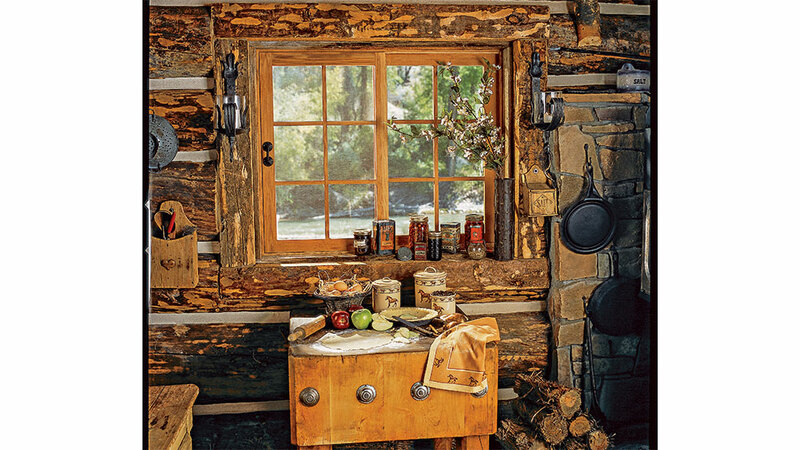 An antique Hoosier cabinet takes the place of traditional cabinetry in this cabin kitchen. The decorative antique tins that line the shelf above serve as both a nod to the past and a place for concealed storage. Scrumptious apple pie and farm-fresh eggs are everyday fare at the Kontney homestead. A simple butcher-block work station is at the heart of the kitchen, which has no running water or traditional cabinetry or countertops.